Surprise her with a classic statement of your love. 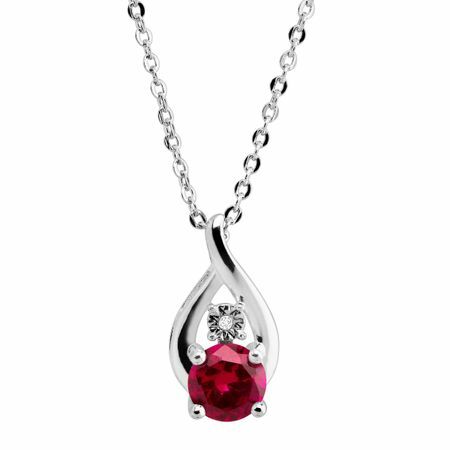 This created 1 ct created ruby pendant will highlight her most unique qualities with its sleek droplet stage of sterling silver and single gleaming diamond accent. Pendant piece measures 5/8 by 5/16 inches. Comes with an 18-inch cable chain and spring ring clasp.